Refer the below images on how to add them to your studies. 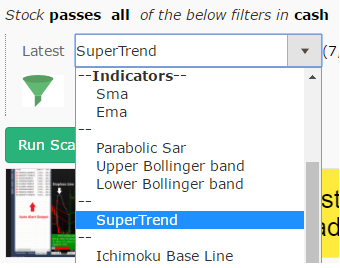 Hoping this additional further helps you to filter & find breakout stocks. List of frequently asked questions from our visitors. How to scan NSE Future stocks? You can view our screeners homepage to search & view scans created by other users. 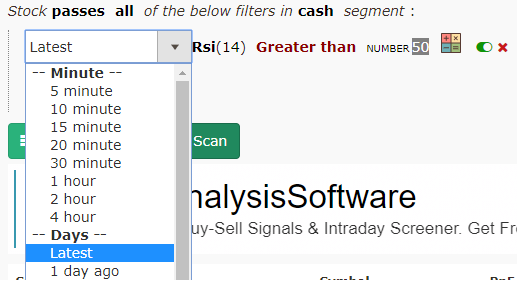 After you’ve logged in and added stocks in your watchlist, you can change the segement to “Watchlist” which would then run the scan for stocks listed in your watchlist. 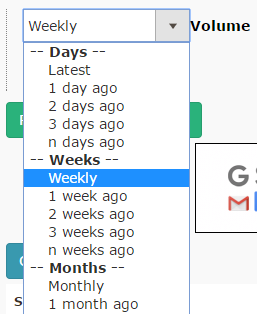 How to perform Weekly/Monthly scans? How to run Intraday scans? How to have Realtime scans during market hours? While the markets are open, the “Latest” refers to the current days’ candle. The current price is also reflected for “Intraday”, “Weekly” & “Monthly” ranges which are updated during market hours in near realtime.